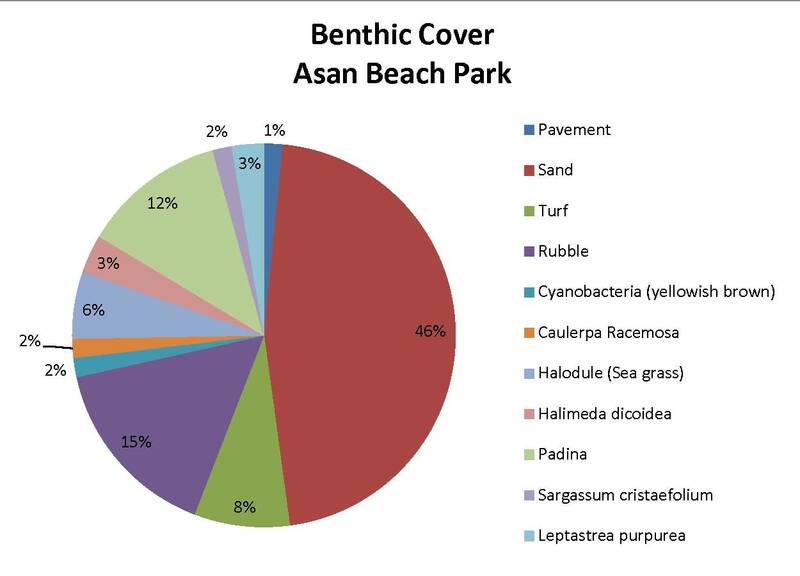 Analyzed data results will be posted here to update community on benthic cover and presence of macroinvertebrates at different beaches around Guam. 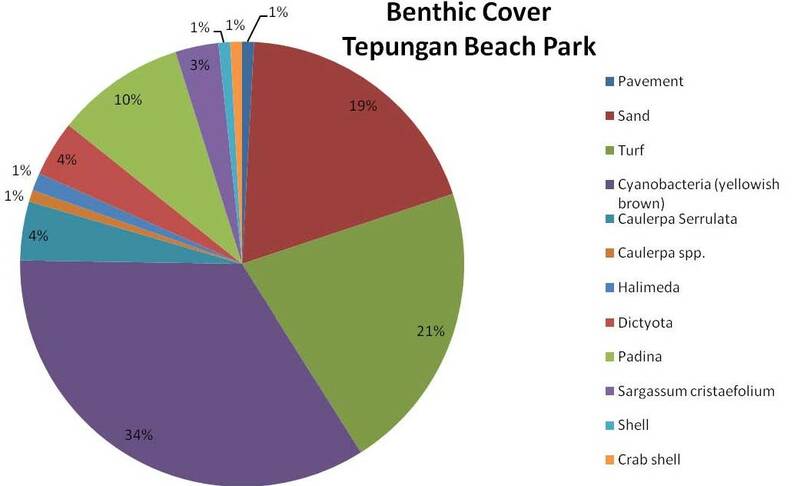 Below are data results compiled from program’s pilot group surveys from Tepungan Beach Park (next to Fish Eye Observatory)and Asan Beach Park. Pilot group made connections with data results and major threats of the Piti-Asan Watershed. 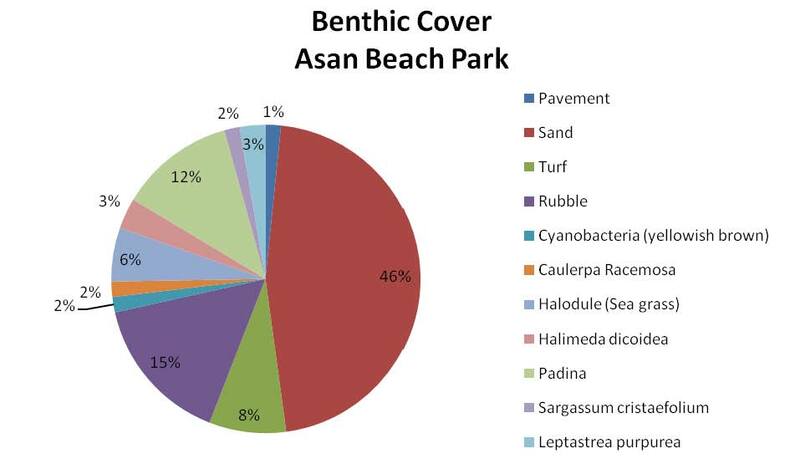 For example, sedimentation and erosion may account for lack of coral coverage in both sites and variety of turf and macro algae.